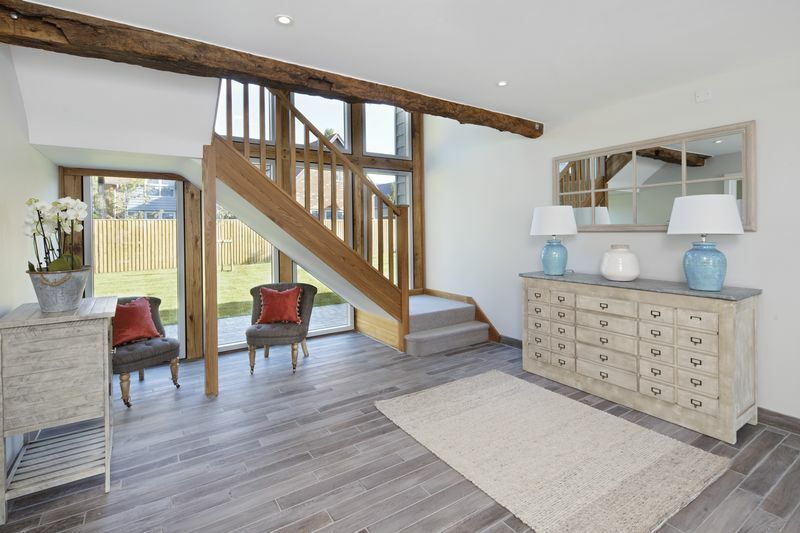 Tydemans Barn is a Contemporary, four bedroom barn-style detached home. 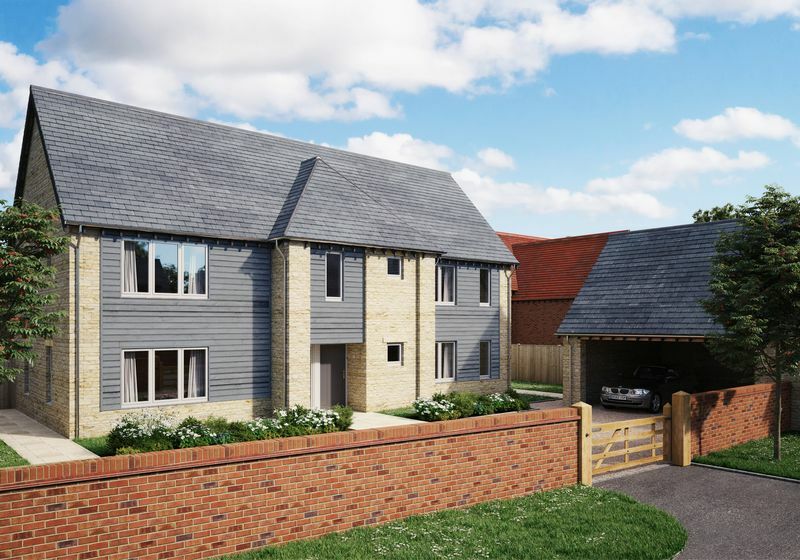 Features include a generously-sized drawing room with wood burner and large doors opening out onto the garden, a stylish, contemporary open plan kitchen with a family / dining area with high quality integrated appliances, and doors onto the garden. Other features include a utility room, study, downstairs cloakroom and spacious hall. To the first floor is the master bedroom suite and three further bedrooms, including one ensuite, and family bathroom. To the side of the property is the double garage which benefits from generous storage space above. 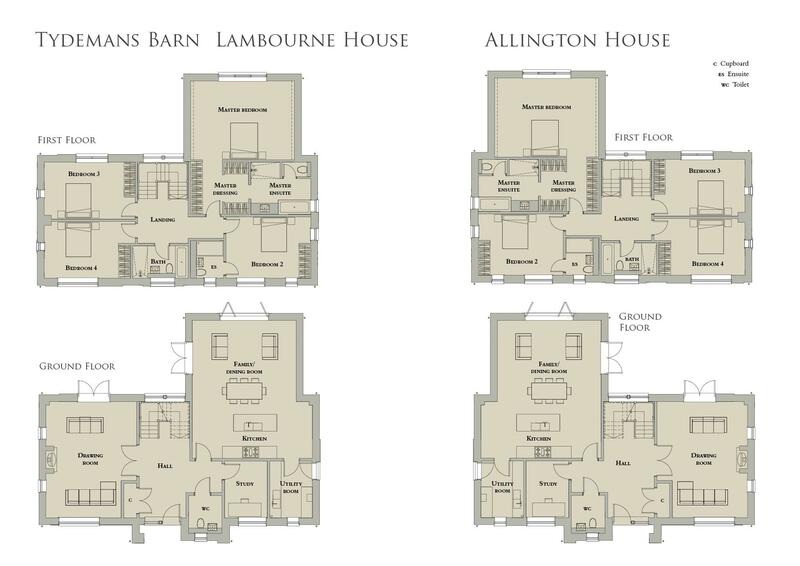 Lambourne House and Tydemans Barn offer similar accommodation as Allington House and are also available on this exclusive development. 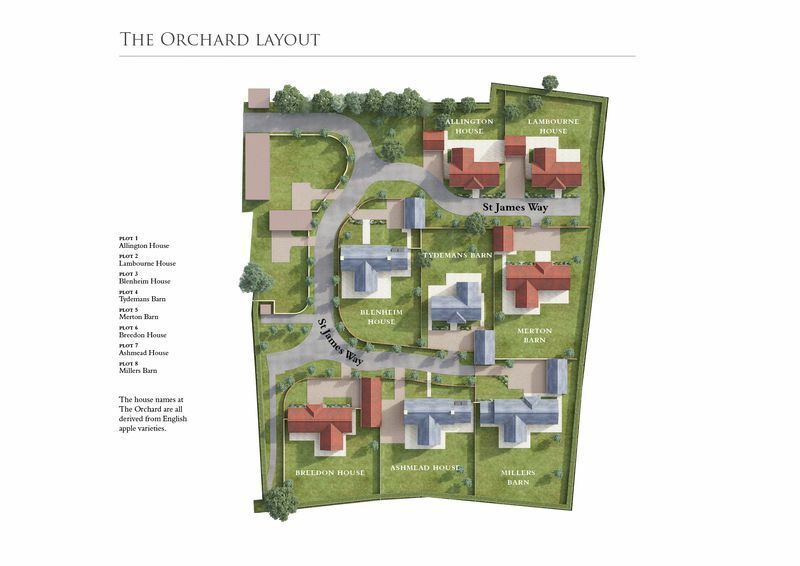 The Orchard is an exclusive, private development of eight beautifully crafted, spacious, detached properties, right at the heart of this ancient and picturesque village. 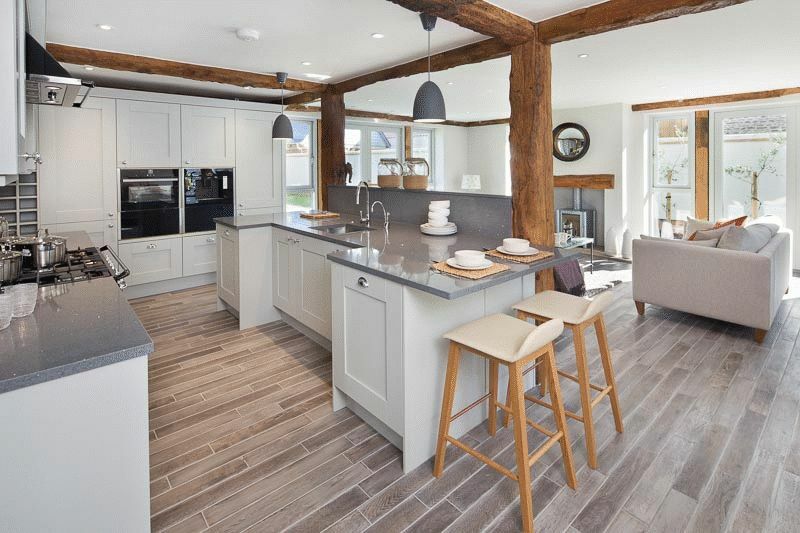 This characterful mix of traditional and barn-style properties sits just off the village green, only a few yards from the historic church of St James the Great. These homes are designed to harmonise with their surroundings, taking their design inspiration from local styles, and using natural materials in their construction. 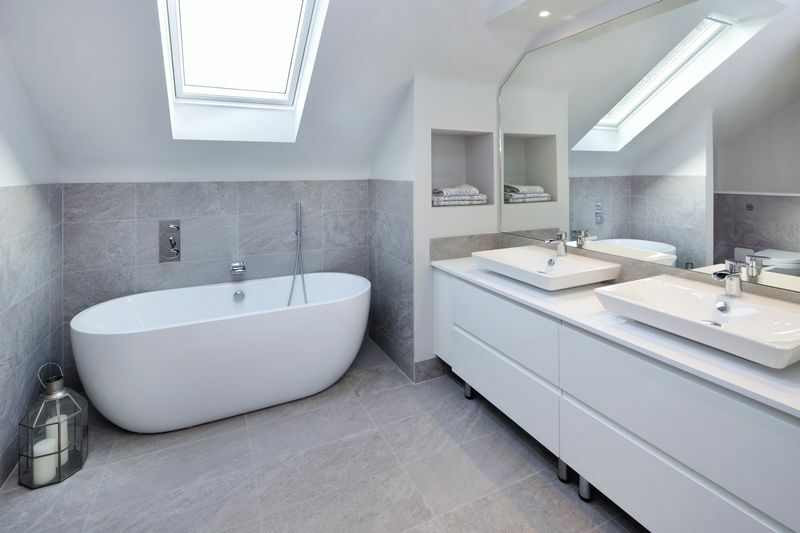 Inside, however, contemporary luxury and environmental sustainability are the watchwords: heating is provided by highly efficient gas boilers, they are insulated to very high levels and are equipped with top quality appliances and features throughout. Internal images are from a similar Sweetcroft development. Please call the office to discuss the current stage of construction.